Theodelinde war die Tochter von Eugène de Beauharnais (1781–1824), Herzog von Leuchtenberg, und seiner Ehefrau Prinzessin Auguste von Bayern (1788–1851) die Juwelen der Leuchtenbergs, wurden dann für Ihre Tochter Fürstin Mathilde von Urach, Gräfin von Wuerttemberg vom Pariser Juwelier, als Mitgift ihrer Mutter, umgearbeitet. 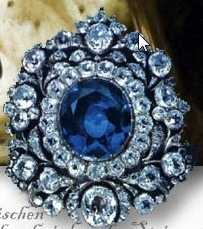 Beauftragt wurde der Juwelier von der 2. 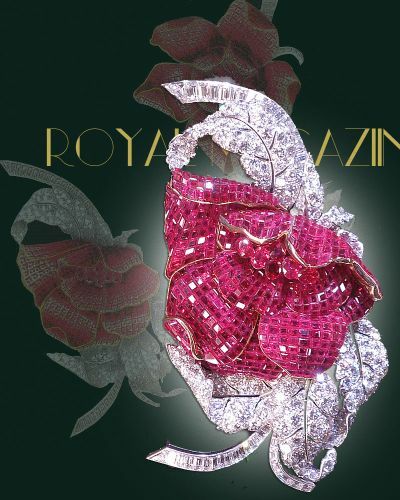 Frau ihres Vaters – Prinzessin Florestine von Monaco….mehr zu diesem Schmuck und die Geschichte der Herzogin Altieri. 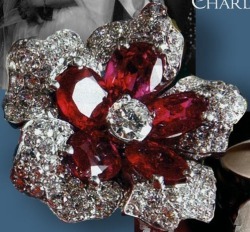 Der Schmuck wird in Genf bei Sotheby’s versteigert…. 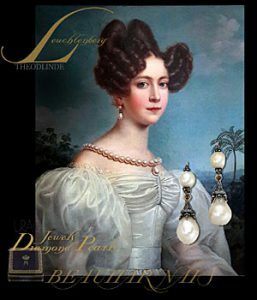 The jewels of Leuchtenberg, were remodeled, then for their daughter, Princess Mathilde of Urach, Countess of Wuerttemberg by the Parisians Jeweler, as a dowry of her mother. The jeweler was commissioned by her father’s second wife – Princess Florestine of Monaco …. 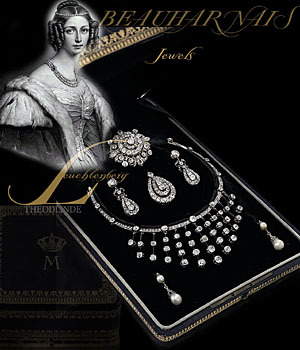 more about this jewelery and the history of Duchess Altieri. The jewelry will be auctioned in Geneva at Sotheby’s …. When Princess Theodolinde of Leuchtenberg , the daughter of Prince Eugene Beauharnais and Auguste of Bavaria, married the Count of Wuerttemberg……. Herzogin Theodolinde von Leuchtenberg heiratete den Grafen von Wuerttemberg…. During yesterday’s big masked ball in the royal Hofthater, that of the royal. Court…. The first which was preceded by a herald and trumpeter introduced the chief characters of the novel Kenilwoth, with their Maj. Queen Therese appearing in the richest ornament as Queen Elizabeth of England, the Crown Prince as Leicester. The subject „Tasso“ was chosen for the second movement, with the duchess Duchess von Leuchtenberg, in the richest costumes, showing herself as princess of Este, surrounded by her court. 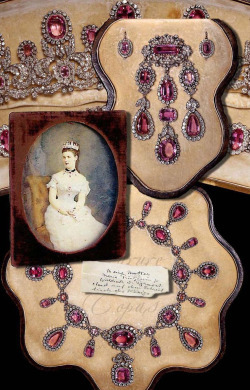 All the costumes were distinguished by their splendor as a tasteful choice; the costumes of the highest and highest nobility were covered and dotted with a wealth of jewels and jewels, which is invaluable. The Duchess of Leuchtenberg, Princess Auguste of Bavaria (1788-1851), eldest daughter of King Maximilian I Joseph of Bavaria and his first wife Princess Auguste Wilhelmine of Hesse-Darmstadt, married to Eugène de Beauharnais (1781- 1824), Duke of Leuchtenberg Viceroy of Italy. The son of Marie Josephe Rose de Tascher de la Pagerie, later Empress Joséphine. In 1817 King Maximilian I gave Joseph, her husband and his family the title of Duke of Leuchtenberg and Prince of Eichstätt. Her fourth daughter, Princess Theolinde von Leuchtenberg, in the upper left of the picture, with costume jeweled. 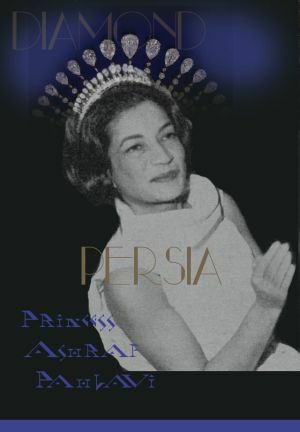 On the chest diamond ears are arranged for suns, a necklace and bracelets, and ornaments are probably made of jewels are abundantly distributed on the dress, a bow-shaped brooch on the neckline and a tiara with structure is visible on the head. 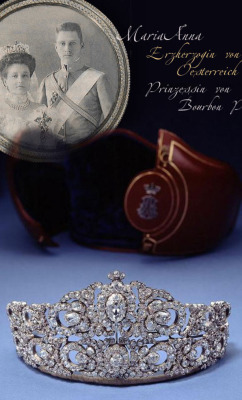 The jewelry may come from the Duchess of Leuchtenberg, who also received a portion of the diamond ears of the coronation robe and jewelry of Empress Josephine. 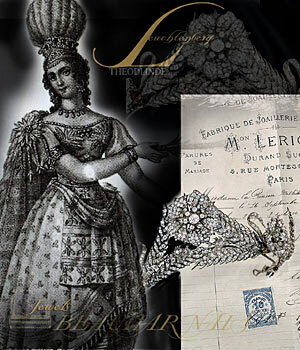 A year later, a spectacular masquerade ball took place, in which Princess Theolinde von Leuchtenberg performed a Basque dance dressed in jewels, at that time she was already the fiancee of the Earl of Württemberg, later she married and also on the occasion of her wedding became a costume ball held. One of Europe’s richest men, the handsome and charismatic 22-year-old Prussian industrialist and mining magnate was immediately captivated by La Païva’s seductive charms, extraordinary mind and business acumen. 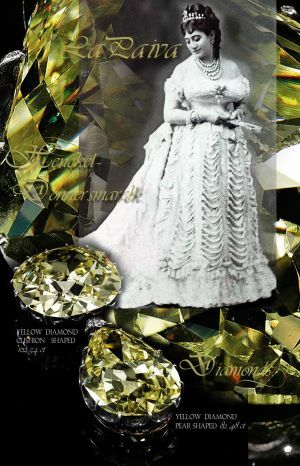 Their relationship was the talk of Paris high society and in 1871, the two were married. Witness to one of the Great Love Stories of the 19th Century.